Protecting the business from a never-ending stream of sophisticated security threats. Ensuring IT and business alignment in a rapidly changing competitive climate, all while steering the focus away from routine operations and toward strategic innovation. There’s no question that today’s IT leaders face an unprecedented set of challenges, and many are embracing automation to streamline routine responsibilities. 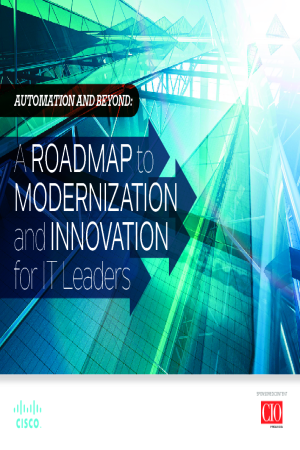 But beyond gaining efficiencies for day-to-day housekeeping tasks, there is a compelling case to be made for leveraging IT automation and, with it, a more sophisticated intent-based networking (IBN) model to address the larger issues surrounding IT modernization and digital transformation.